Google launches new GMB marketing tools and trusted partner program for agencies. 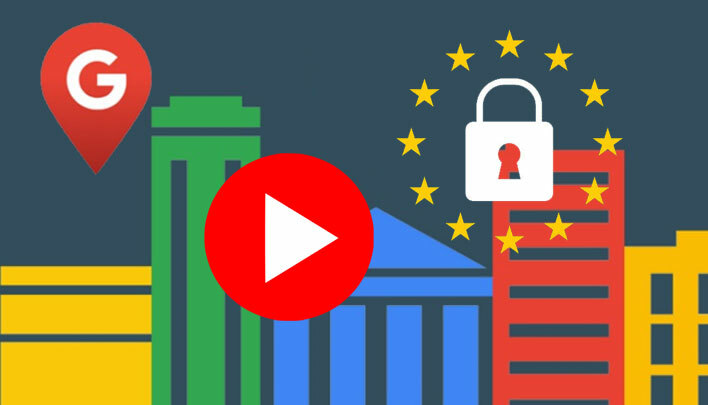 GDPR is here: What should you do to become compliant. Page Speed will be officially a Google ranking factor, starting July 2018. Now you can add videos to Google My Business posts. Google AdWords updates for June 2018. Facebook rolling out new metrics and tools that will change the way we approach video marketing. Google has recently updated the Google My Business API, making it easier for agencies and partners to manage manage multiple local business listings. “In the last couple of years, we’ve invested in the Google My Business API, introducing features like Reviews, Menus, Insights, and Posts to make it possible for agencies and platform partners to maintain and update Google listings for their end customers easily. With our latest API update, we’re adding more features like offer posts and merchant description so partners can continue to offer Google My Business’ latest features to their customers efficiently and at scale”. New ‘Location Groups’ can be set up to collect organizations. Access to the Location Group can be sought by or given by both client and agency. The quick search function allows for easier access to locations within your entire account or Location Group. In an effort to expand the privacy rights of EU individuals, the EU General Data Protection Regulation (GDPR) places new obligations on any organization, no matter where it is based, that markets to, tracks, or handles EU personal data. As you can imagine, the GDPR is the compliance talk-of-the-town for any company doing business in the European Union (EU) or, in fact, any organization that might have EU personal data within its databases. Although GDPR applies to the European Union as of now, it’s a good practice to follow and inform users how their information is being used on your website. To start with, here are a couple of changes you need to implement on your website. Google announced that they will be making speed a ranking factor within mobile search results starting July 2018. However, this speed update will affect only the worst pages since the intent of the query is still one of the strongest signals. So slow pages can still enjoy higher ranking if they offer relevant content. BUT, it’s not just about Google. Speed is a huge factor when it comes to user experience as well. A 2017 Google study revealed that 53% of the visitors abandoned sites that took longer than three seconds to load. It might be a mark that’s hard to achieve, especially if you have high-quality images and videos on your site but you can still work on the aspects that can be improved. You can use Google’s Test My Site to check your page load time, the approximate percentage of visitors you are losing and other aspects of your site that need improvement. It’s quick, comprehensive and FREE. GMB Posts have the immense power to boost the bottom line of your business. Those who know how to utilize it to the fullest have seen a massive boost in sales. The latest addition to the Google post is VIDEO. Now you can upload videos of your business or any topic that revolves around it. It’s already proven that Video marketing is EXTREMELY beneficial for your business, and now with the ability to upload videos to Google posts it further enhances the benefits. The best way to find out which type of videos work best for you is to TEST. Analyze your audience’s reaction to different videos to figure out what type of audio-visual content really clicks with your audience.